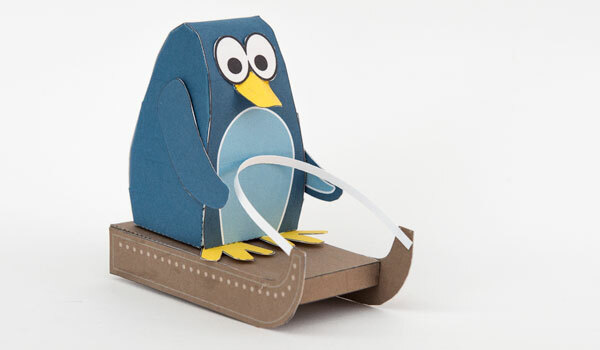 Sledging Penguin, Download and Make. Download and make the Sledging Penguin as a stand-alone papertoy or as character starting point for your own paper animations. The Sledging Penguin is a perfect model for combining with one of the Essential Mechanisms. Become a member and you can download the parts for this and hundreds of other amazing paper projects for free! 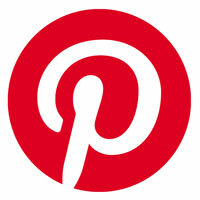 Make sure to visit the website for latest news about on-going projects. The latest news is about the forth-coming contra-rotating robot project. Find out more by visiting the blog now. 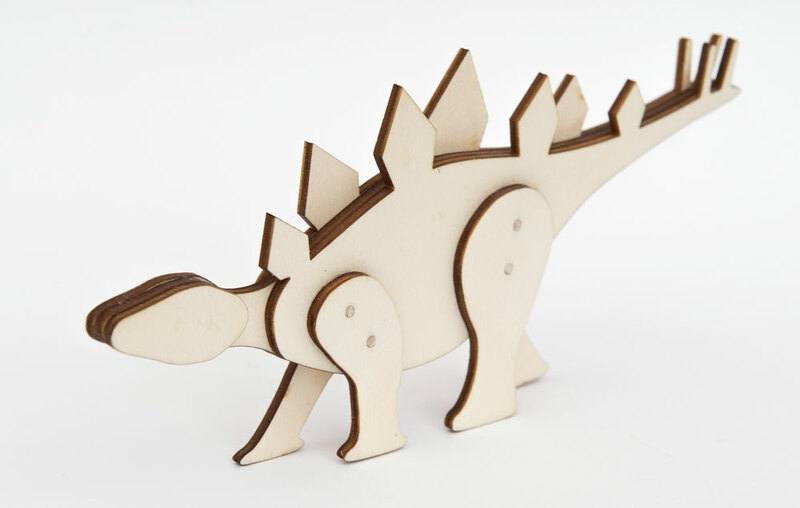 Check out the new downloadable file to make your own 2.5d laser-cut stegasaurus! 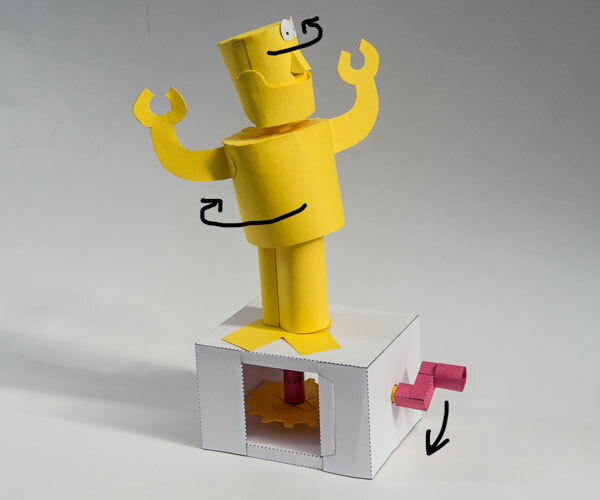 Visit the website to find out more about this and other laser cut and 3d printed models.